""The time's change, people change that's how the world works""
A few words about myself: Talk about myself huh? Well I'm currently in college, my major is computer science. Skool is boring yet fun..lol. I love the internet and I love web browsing. 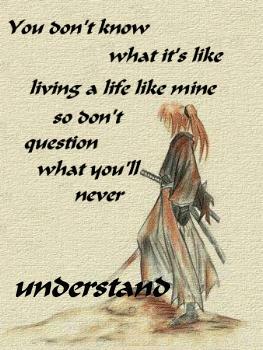 I also love anime (particular Rurouni Kenshin, Bleach, Gundam Wing, Trigun, Cowboy Bebop, etc), mangas, music and japanese swords. I like to lie around the house and be lazy..lol. I love hanging out wit my frens and go out, but I also like my down time and be alone. I also like going to the beach and go running. If u wish to add me go ahead, I dont mind being friends. But lets keep in touch and at least chat a bit. I hate adding frens whom I'll never talk to again. Login or register to add gato760 as your friend!